New Moonman pen. Thoughts? Available on eBay for $42-ish (i could find only 1 listing though..), appears to use a Schmidt nib. Pictures taken from Reddit and Instagram. Also, the connector to the cartridge/converter appears to be metal, so may not be able to be eye-droppered. That seems an odd choice given the Moonman heritage so far. Edited by Mech-for-i, 07 October 2018 - 16:45. That's great information, thanks for that. All the ads I've seen have stated acrylic, but celluloid would explain their great photos. I'm not sure about the length, though. While the Moonman S1 lists as the same length as the M2s, the M100 is listed at 145mm, which is within 1 or 2mm of what my PenBBS 309s measure (capped). If they turn out to be the same size as the M2, I won't bother with the regret I mentioned next year. I have an irrational hope that this will bring down the price of the LIY Mitu which it resembles, and the Shisan - both of which are wildly overpriced in my opinion. Especially the Shisan - $87? for a plain rod? Nope. Thank goodness no silver trims, or else it would be in my wishlist (along with the PenBBS vacuum filler). Funnily enough, for all the flack the new Esties has, the blue one looks eerily similar to the Estie models. I look at these and think, 'Yes, quite nice' and then I search for one with what I would consider a sensible nib..... Anything other than Fine or EF. Nope. Is the word 'broad' an expletive in China and thereabouts? 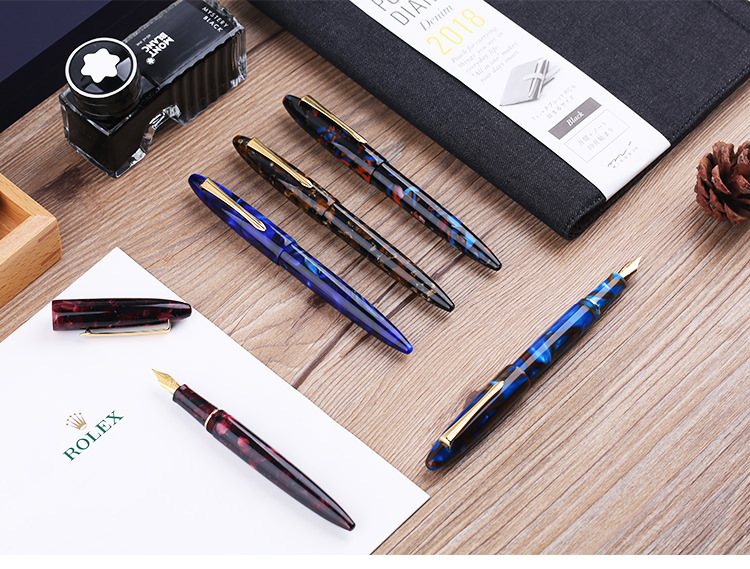 Why is everyone comparing it to the new Estie when It is an obvious attempt to go after the LIY Mitu, also with a Schmidt nib, but for a higher price? I don't get it. 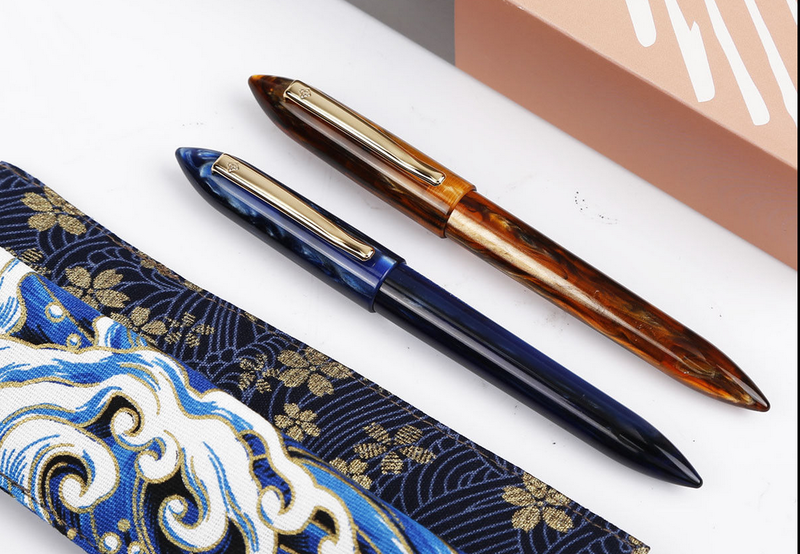 Both the M100 and the S1 have gone live on taobao. Check out my assembled FP reviews. The S1 is also on Ebay now....but I'm not inspired. Hmm ... the S1 is in profile more akin to the LIY Mitu , where the M100 is fatter and more a bulged / tapered profile than a straight rod with pointy end. But in the end I find them rather lacking ... but then these days many boutique pens are like that, no more than yet another pen barrel + cap + section to hold a somewhat generic Scmidt / Jowo / Bock unit ... I do not see much in the styling or industrial design, and the Mfr do not give us something of their own. 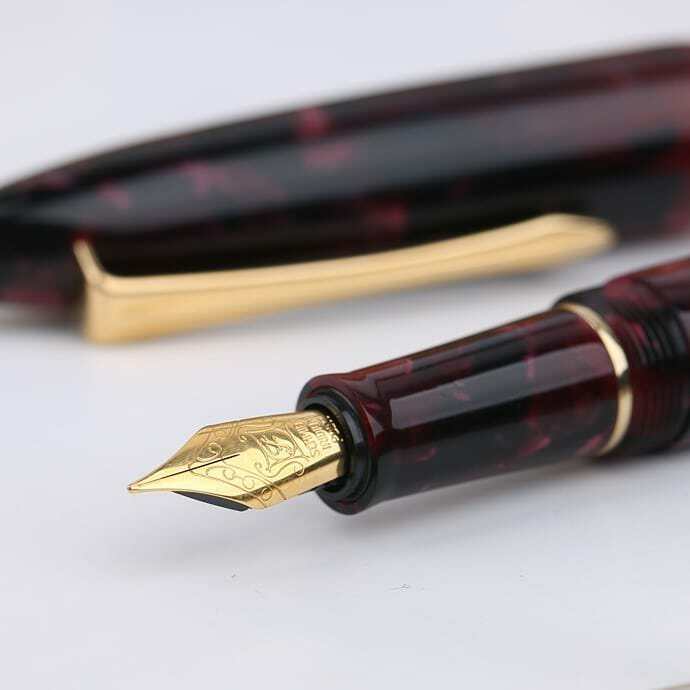 Instead I think I would be more inclined to get the PenBBS or the Delike / Moonman with their own nib / nib units and the price had been hiked to a bracket where I can gone off and get something else more interesting. Edited by Mech-for-i, 07 October 2018 - 17:01. 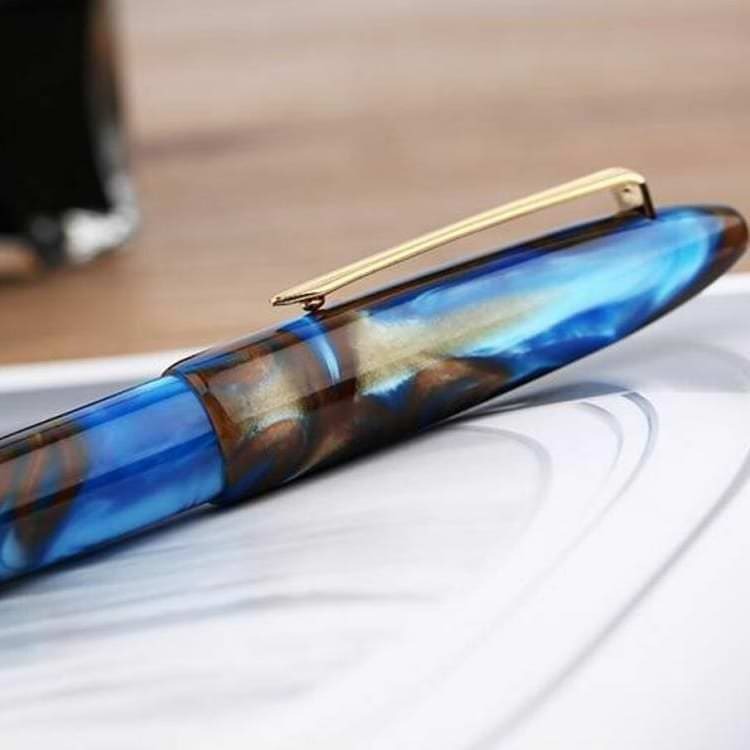 A little off topic but some sellers also just posted this hideous mashup of a Moonman M2 and a Pilot Plumix on Ebay. 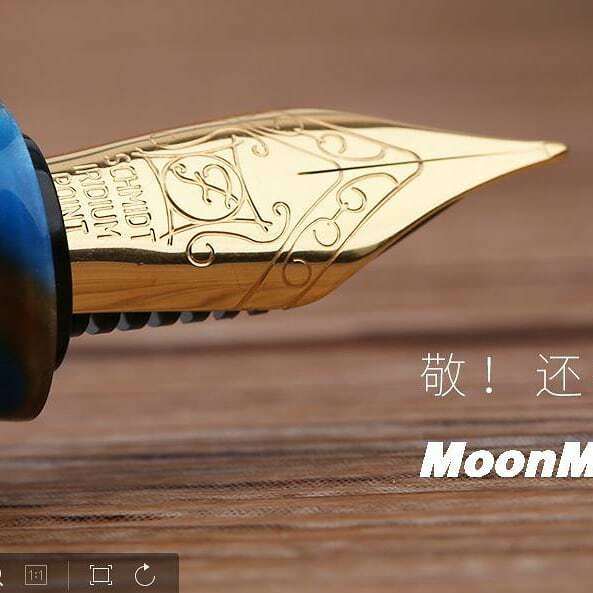 The pictures don't even seem to show the same pen cap...and they are calling it a Moonman M2. Edited by DasKaltblut, 07 October 2018 - 16:59. The M100 and less the S1 look quite nice and are tempting. However they are priced too high if they only come with an EF nib, at least for those that prefer wider pens like me. On a pen half the price I can accept it and include the cost of an aftermarket nib. But not now and it is not an excuse that Chinese writing requires the finer nibs. Most of the sellers in Ebay sell to western customers. Schmidt nibs come in all sizes. 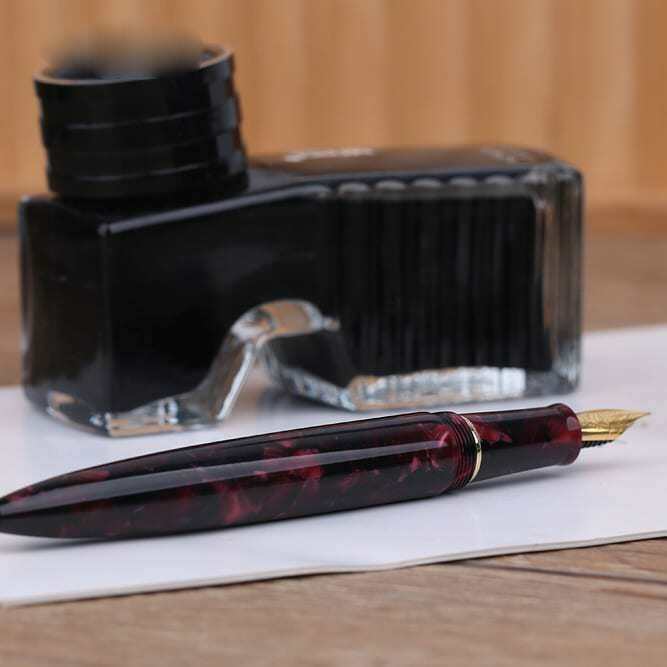 Even the Wancai was being sold with a stub nib as an extra. 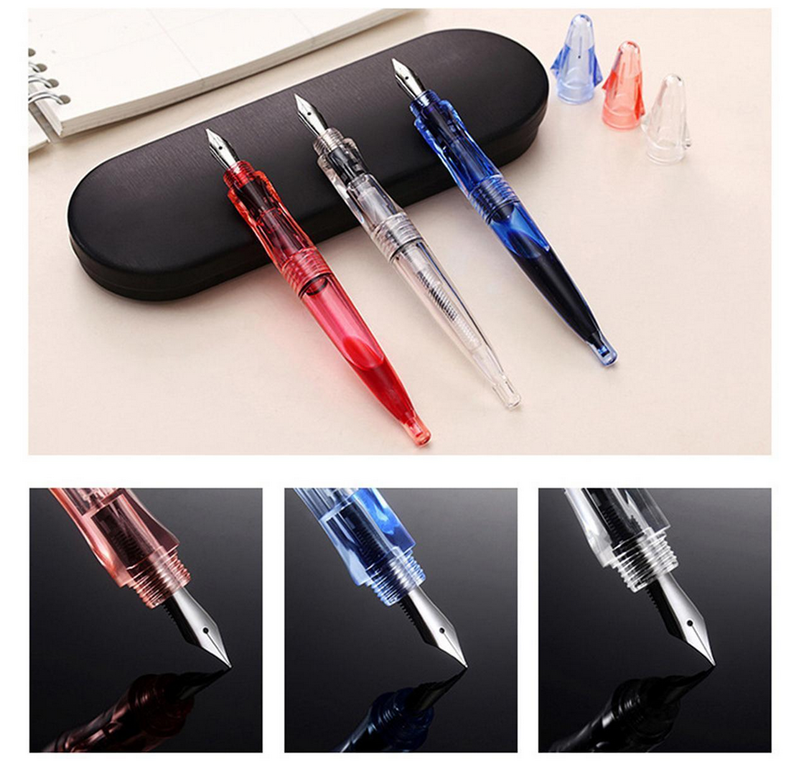 Most of the sellers in eBay purchase Chinese pens, which are made for the domestic Chinese market, which don't use those nibs. The Wancai was sold with a stub nib extra, but that was only one seller (office_supplies_pen aka Bobby), which I'm pretty sure he himself decided to include the stub nib as an extra, not the manufacturer. Edited by Rotring600user, 07 October 2018 - 19:32. I don't know. That's what the seller is calling it. Seeing the eyedropper based filling system, I guess it is some sort of variant of Moonman M2. Well AFAIK, Moonman had no such model, this is likely an online retail scam taking advantage of a wider consumer population who might not have the knowledge and even worse, not caring to do their research properly.